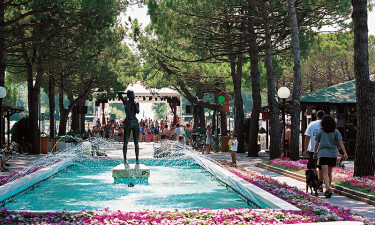 For enthusiastic travellers and families who appreciate a luxury camping holiday with many home comforts, the Marina di Venezia luxury camping site is an ideal choice. Situated only one kilometre away from Punta Sabbioni, you have the convenience of being near Venice for some culture and sightseeing. Back at base, there are all the benefits of a seaside holiday with sun, a nearby beach and a swimming pool. Camping Marina di Venezia is a popular choice - if you would like to book your stay, please complete the reservation details below. You must leave the campsite by noon on the day of departure (after you have checked out of the accommodation). If you wish to leave the campsite later (and thus make use of its facilities for a longer period), you must pay a surcharge at the campsite's check-in desk. Please note: access to the campsite is closed for cars every day between 1pm-3pm. In high season the pool is also closed during these hours. If you are travelling with more than two families together, we cannot accept wishes regarding the location of the accommodation next to each other. 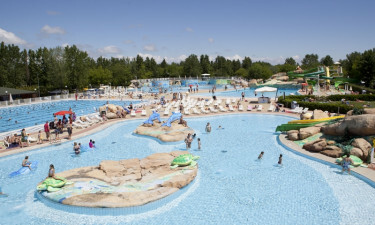 A camping holiday with Lux-Camp at Marina di Venezia offers all the advantages of the great outdoors, with a luxurious feel and yet at the best prices possible. Please note that Lux Camp specialises in offering quality accommodation in existing mobile or permanent campsite homes or a luxury tent. 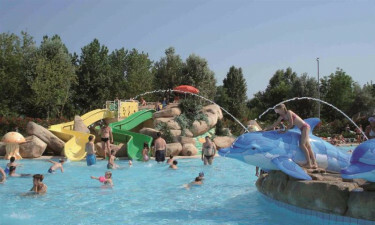 Why should I choose Marina di Venezia for my holiday with Lux-Camp? The large swimming pool with water slide means children are sure to enjoy themselves and have fun. Site facilities also include table tennis and volleyball, mini-golf and cycle hire. 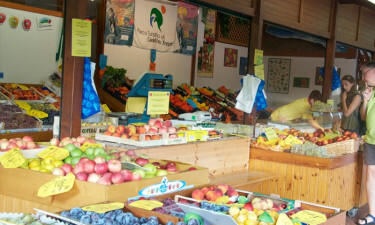 Organised activities take place in high season. A long sandy beach is nearby; water sports available include sailing, surfing, SCUBA diving and boat hire. For ‘real’ golfing enthusiasts, there is a full size golf course only ten kilometres away. Horse riding enthusiasts will find a riding school approximately fifteen kilometres from the site. The site has just under three thousand pitches; many are shaded. Cars are permitted. In addition to the ten toilet blocks with shower and washing facilities, there are running and wastewater connections in your own mobile home or bungalow tent. Site facilities also include a large launderette, a television room and baby-changing facilities. A restaurant and combined pizzeria offer a children’s menu and local dishes. There is also a snack bar with pasta, hamburgers, etc. and a number of drinks bars. The site supermarket, general food shop and gift shop are open from the beginning of April to late September. Other shopping facilities available include a photography store, newsagents, tobacconists with stamps, hairdressers and a dive centre.